Conventional farming practices have led to the widespread application of xenobiotic pesticides and their global diffusion in soil and water compartments. Among persistent pesticides, herbicides are a potential threat to crop and non-target plant communities, resulting in ecological and agricultural impacts. 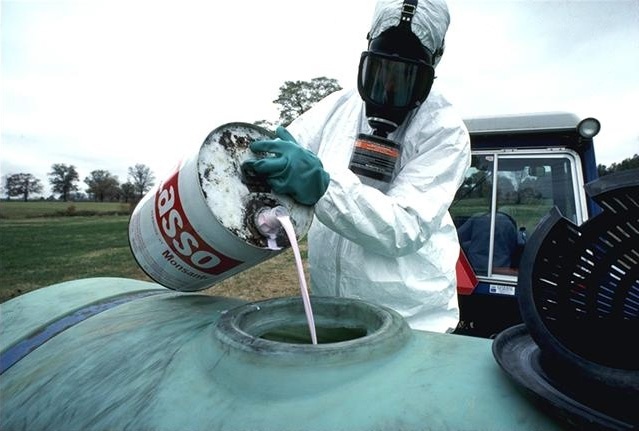 Herbicides are partially metabolized in degradation products by abiotic chemical reactions, microorganism-mediated processes, or plant metabolism reactions. So diffuse agricultural pollution usually involves complex mixtures including low doses of active molecules and degradation products, whose impacts on biodiversity and ecosystem balance are still poorly understood. The study of plant responses toward herbicides and their degradation products, in a situation of residual and transient pollution, is important to evaluate the effects of low-dose contaminations in the context of environmental risk assessment. We already showed in Arabidopsis thaliana that, under conditions of low doses, triazines, as atrazine (ATZ), an herbicide still widely used worldwide, and its degradation products, desethylatrazine (DEA) and hydroxyatrazine (HA), have no effects on photosynthesis, the ATZ canonical target (Alberto et al., 2017). However, even in the absence of rapid phytotoxic effects, these low-dose triazines have unraveled impacts on other cellular processes. Cryptic inhibitory effects on mitochondrial respiration and enhancing effects on root development were both detected under dark conditions. These differential effects pointed out to the multiple involvement of non-canonical modes of action, directly affecting respiration and root development. We then hypothesized that, at low-dose, ATZ and its degradation products were acting on unknown targets independent of photosynthetic processes (namely non-canonical targets), probably involving signaling and regulatory processes. In our recent study titled entitled Low doses of triazine xenobiotics mobilize ABA and cytokinin regulations in a stress- and low-energy-dependent manner published in the journal Plant Science, we shortly exposed Arabidopsis root to 1 µM ATZ, DEA, or HA and undertook a whole-genome transcriptomic approach to explore these early regulatory processes and signaling pathways. These conditions of xenobiotic treatment reflected realistic levels of triazine contamination in field margins. Our microarray experiments surprisingly showed that low doses of triazines, in the absence of significant interference with PSII, caused significant, coordinated and specific changes of gene expression in Arabidopsis plantlets. Globally, molecular responses to ATZ and DEA were related to metabolic and stress processes, probably in relation with the maintenance of cell homeostasis, whereas molecular responses to HA were linked to growth and development. Overall, the functional classification of triazine-sensitive genes emphasized important common responses to all triazines that were linked to hormonal, metabolic, and stress-related pathways. Detailed analysis of these patterns highlighted the potential disruption of energy, carbon, and nitrogen homeostasis, and potential activation of cell-wall and defense processes despite the low level of physiological effect and the xenobiotic nature of the exposure. Then, analysis of shared-function networks of triazine responsive genes involved in signaling and transcription highlighted the involvement of abiotic and biotic stress-regulated processes, more particularly of temperature and drought stress-regulated processes. The significant over-representation of these processes in triazine-sensitive networks emphasizes the importance of cold-, heat- and drought-related signaling in the perception of non-toxic or subtoxic triazines. Residual levels of herbicides and their degradation products could thus play a role in modulating the capacity of plants to respond to abiotic or biotic stress challenges, either through over-sensitization or through acclimation and hardening. These effects on plant responses may so have important consequences for pesticide use and for global change responses. Moreover, functional analysis of differentially expressed genes and of their promoters showed the strong involvement of abscisic acid- and cytokinin-regulated processes and led to the hypothesis of the interference of low doses of triazines with hormonal pathways. The fact that triazines affected especially the expression of several cytokinin-regulated genes is particularly interesting, indeed this family of plant hormones share a similar chemical structure with triazine compounds. These links between low-dose xenobiotic impacts and stress-hormone crosstalk pathways give novel insights into plant-pesticide interactions and plant-pollution interactions that are essential for toxicity evaluation in the context of environmental risk assessment. The study of putative interactions between triazine-regulated signaling proteins allowed us to confirm the implication of signaling cascades in low-dose triazine responses, thus establishing a sensor-regulator-actuator regulation network. The identification of these canonical-target-independent mechanisms and underlying signaling pathways is a key step in the characterization of herbicide sensing and signaling pathways involved in the activation of tolerance and/or resistance mechanisms. These regulations should contribute to explain how xenobiotics with various structures and modes of action converge on common perturbations of energy, carbon and nitrogen metabolisms. Underlying mechanisms and primary targets of such non-canonical cross-xenobiotic regulations remain to be unraveled. These xenobiotic primary targets must be related to a nexus of energy, temperature, drought, ABA and CK signaling. These targets could act as an integral part of sensing mechanisms allowing the perception of common chemical structures, like N-heterocycles present in cytokinins, triazines and various sulfonylurea herbicides. Therefore, we showed that apparently non-phytotoxic doses of herbicides or degradation products affect plant growth and development through mechanisms that do not involve canonical-target of ATZ. These impacts can influence the regulation of signaling pathways at different levels, including the plasticity of plant development and stress responses. The characterization of signal transduction modifications and perturbations will be useful to assess herbicide efficiency in crop systems and to protect natural plant communities and ecosystem functioning. Finally, the identification of crosstalk processes between xenobiotic, abiotic and biotic stress signaling will give novel insights into the interplay between chemical pollution and climate change stressors. These findings are described in the article entitled Low doses of triazine xenobiotics mobilize ABA and cytokinin regulations in a stress- and low-energy-dependent manner recently published in the journal Plant Science. This work was conducted by Diana Alberto, Ivan Couée, Cécile Sulmon, and Gwenola Gouesbet from the University of Rennes 1, and Stéphanie Pateyron from the Institute of Plant Sciences Paris Saclay IPS2. My researches concern the plant responses to pesticides at environmentally-relevant levels and the complexity of crosstalk between many implicated signalling pathways. My work aims at identifying and characterizing, at molecular, biochemical and physiological levels, central components (receptors, regulators, transcription factors, stress-activated protein kinases) of xenobiotic sensing mechanisms, it will constitute a major breakthrough for understanding plant behaviour under chemical stress.